If you are following us on Facebook and have been around our website, then you have noticed we are consistently talking about how our Montrose, Colorado HVAC technicians are NATE-Certified. We are very proud of this certification. Once in a while, you may have seen pictures of projects Team Sam’s fixed because a company who was originally hired for the job was not NATE-Certified. We have seen first hand what happens when technicians who are not NATE certified are hired for a job. Being NATE-Certified may not be on your “make it” or “break it” list for your HVAC company… but it should be. And here’s why! NATE Stands for North American Technician Excellence. This leading non-profit certification program is specially for technicians in the heating, ventilation, and air-conditioning (HVAC) industry. 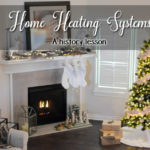 This program is supported by the entire industry as it was created to help HVAC employers hire, train, and develop the best technicians possible. While others train, NATE tests. These tests represent real world working knowledge of HVAC systems. 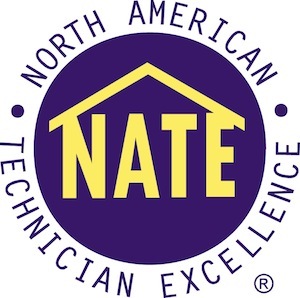 A committee of industry experts nationwide developed these NATE exams representing HVAC topics pertinent to contractors, educators, manufacturers and utilities alike. All of the NATE tests are knowledge-based tests, rigorous, multiple-choice and validate a technician’s knowledge. 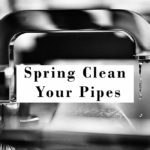 Having NATE-Certified Technicians have a positive impact and the benefits of hiring a HVAC Company who requires their technicians to have a NATE certification says a lot about their character. NATE certification tests represent real working knowledge of HVAC systems. These tests are specifically designed to allow technicians to be certified in specific knowledge areas. NATE certified technicians have proven their knowledge in the HVAC industry by passing specialized NATE certification exams. This means the consumer can hire our Montrose, CO HVAC company with confidence. Don’t worry, SAM’S Heating and Air Conditioning serves the Western Slope, so you can experience our qualified technicians to assist with your HVAC needs even if you don’t live in Montrose. 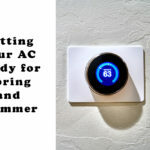 Are all HVAC companies NATE-Certified? You would think (And even hope!) so, but NO. It is not required for technicians to study and take the challenging test for a NATE-certification. Instead, they can just rely on training alone. So there is no proof they know what they say they do. However, because of the importance of this certification program, NATE is supported by the entire industry and benefits everyone if the company offers their consumers NATE certified technicians. Is Sam’s Heating and Air Conditioning NATE Certified? YES! 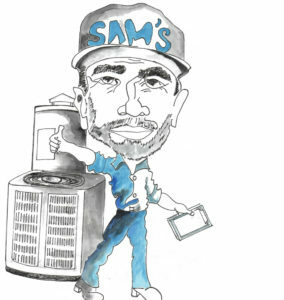 Sam’s offers some of the best things a local HVAC company can offer. One of these things are we are NATE Certified and we hire only NATE certified technicians. If they aren’t certified when we hire them, they are required to pass the NATE Certification exam before we send them to your door step so we can all rest assure your HVAC needs are handled with only the highest professionalism it deserves.